During the past few days, social media users have launched a campaign to urge individuals to boycott chicken due to sky-rocketing prices ahead of Ramzan, Pakistan Today has observed. The sudden increase in the cost of chicken, up to Rs320/kg, has been witnessed in various cities including Lahore, Karachi, Islamabad and Rawalpindi. Usually, the chicken is sold at Rs150-200 per kg but the price has plummeted to Rs320 per kg ahead of Ramzan. “Extreme hike in chicken prices ahead of Ramzan. New price is 320 suddenly from 230,” a social media user said. 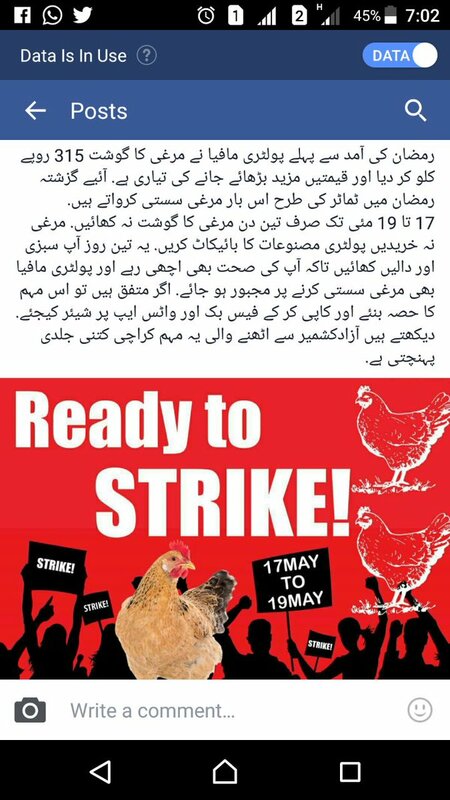 Infuriated by the price hike, people on social media are demanding a complete boycott of buying and eating chicken for three days to defeat the malicious motives of the poultry mafia. 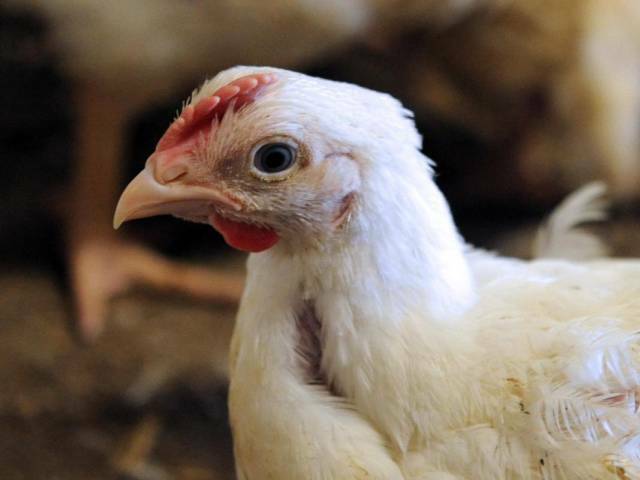 The campaign hashtags #ChickenBoycott and #BoycottChicken urged the people around the country to avoid buying or eating chicken from May 17 to May 19, so that the price can be forced to come down. “Let’s boycott chicken for only three days to punish the mafia who has topped the price to 300,” a social media user urged. While some suggest implementing the campaign during first three days of Ramzan, others propose to begin the boycott from the present day. رمضان کی آمد سے پہلے پولٹری مافیا نے مرغی کا گوشت 315 روپے کلو کر دیا مزید بڑھائے جانے کی تیاری ہے. آئیے گزشتہ رمضان میں ٹماٹر کی طرح اس بار مرغی سستی کرواتے ہیں.